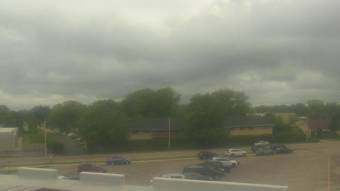 It's 09:57 in Beloit, USA right now. Aldrich Middle School A webcam in Beloit, Wisconsin - camera location: Aldrich Middle School. Beloit, Wisconsin: McNeel Middle School, 0 miles away. Harvard, Illinois: Richard D Crosby Elementary School, 22.1 miles away. Freeport, Illinois: City View, 33.4 miles away. Crystal Lake, Illinois: Three Oaks Recreation Area, 40.9 miles away. Madison, Wisconsin: Constellation Building, 42.6 miles away. Trevor, Wisconsin: Trevor Volunteer Fire Dept., Inc., 46.4 miles away. North Lake, Wisconsin: North Lake School District, 55.9 miles away. Geneva, Illinois: Geneva Middle School, 56.8 miles away.